Looking back on our AntwerPPen & More Vernissage this July and August, we can decide that it was a real success and we enjoyed it from the moment this idea was launched up until the very last day of the exposition. Of course, we also wanted to know whether our guests were equally happy with this new Conid experience. Therefore we decided that there was no better way to find out than leaving behind the traditional guestbook and, of course, a Conid Bulkfiller to write in it. It turned out to be a valuable proof of mutual trust and confidence. The pen, a Kingsize Bulkfiller actually belonged to Johan’s personal collection and was filled with a nice light blue ink. We know that it might sound tempting for some people to “borrow” this pen for a while and take it home with them. We were of course thrilled to find out that this actually didn’t happen at all and we got to take the pen back with us to the Conid headquarters right after the exposition ended. Johan was happy to finally have his pen back, undamaged and in perfect condition. We immediately thought about how this kind of boundless trust and mutual respect is actually something we share with our Conid public, as it is one of the core values we conduct. 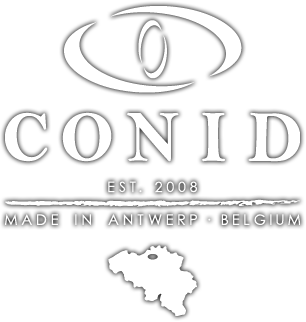 Conid is very pleased with how the AntwerPPen vernissage and exposition have been received and wants to thank every visitor that passed by. We are very proud of all of the enthusiastic commentaries we have read in the guest book, and we want to express our sincere thanks to anyone who took the time to fill it in and try out one of our Bulkfillers.